When a 10-foot tall purported "petrified man" is unearthed from a backyard in upstate New York in 1869, the discovery immediately turns into a spectacle of epic proportions. News of the giant spreads like wildfire, and well over a thousand people come to view him in the first five days alone! Everyone has their own idea of his true origin: Is he an ancient member of the local Onandaga Indian tribe? Is he a biblical giant like Goliath? Soon the interests of world-renowned scientists and people from around the globe are piqued as arguments flare over who he is, where he came from, and if he is real--or just a hoax. 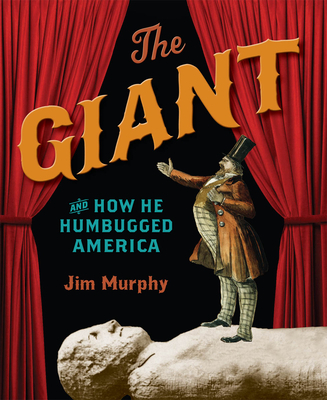 In a riveting account of how the Cardiff Giant mystery snowballed into one of America’s biggest money-making spectacles--and scams--Jim Murphy masterfully explores the power of 19th-century media and the unexpected ripple effect that a single corrupt mastermind can produce when given a stage.